(66z) - Wrought iron table with bevelled glass top. BAR HEIGHT table, measures 36" tall and 30" diameter. 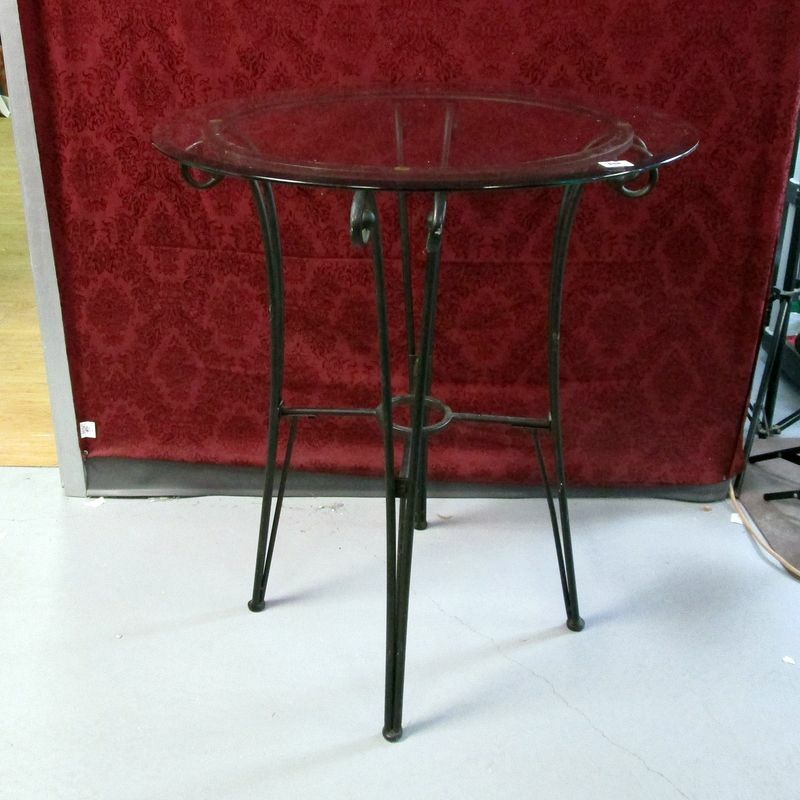 **Lot Details: (66z) - Wrought iron table with bevelled glass top. BAR HEIGHT table, measures 36" tall and 30" diameter.